Past Aetherius Society Members..... Leaving the Aetherius Society Behind! 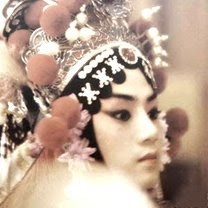 : Heroes of the Three Kingdoms - but sad about the book, though, uhh! King Pigsy - or "monkey magic"??? 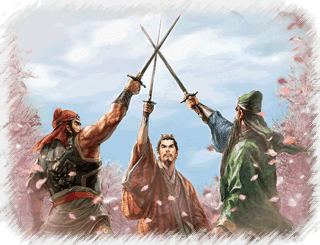 Heroes of the Three Kingdoms - but sad about the book, though, uhh! Could that have been the basis for George King's "three Adepts" and their mystical stories of adventure? Or, perhaps it always did take at least three souls to achieve anything worthwhile on the Earth? Subject: SAD ABOUT YOUR NEW BOOK!!! ATT: MR. BRIAN KENEIPP, THE AETHERIUS SOCIETY - RE: "OPERATION EARTHLIGHT"
We must all give thanks to you for the help you gave our Master, H.E. Dr. George King in his latter years and for your personal efforts and dedication to the Aetherius Society. None of the information about Ascended Masters would have been available to you or to me without George King's having made it so. Given the times of "Desert Storm" and "The New World Order" (your country's creations), Operation Earthlight has turned this world around since then. It is a disappointment that you couldn't have studied your subject material better before putting it into print. A book written by a disciple about his/her Master is expected to be a well written and important document. Have you really done justice to all of the subject matter you had to present? I think not. You have skimmed through important topics in the first part so that no-one outside of your Society would have a clue what you are talking about. Anyone who can only afford to devote a couple of paragraphs to the Initiation of Earth and half a page each for Karma + Reincarnation obviously hasn't really understood what he is writing about. I know you've tried to set a series of events into perspective but is that really what you've got here? You said that George King had "...devoted all of his time to the Cosmic Masters..." (p.21). This doesn't include anything about Karmalight or the Alien Mission, etc. Didn't you know that they were his main missions? Everything after them was a fortuitous add-on which we are all lucky to have. You didn't explain Spiritual Pushes nor Prayer Power batteries at all well. Wouldn't it have been appropriate to quote from George King's books, transmissions, etc.? And you got so involved in reporting George King's telepathic messages that you didn't really properly explain Operation Earthlight anyway. Most books written by disciples are very eloquent and knowledgable treatises on the lives and teachings of their Masters and the missions/religions that they have founded. There are plenty of good examples. Richard Lawrence is the weakest and most pathetic example you could possibly follow. The only thing worth reading in his first book was the bibliography. Knowing George King personally, you should have been able to see that for yourself. The Cosmic Masters dropped us off "here" 18 million-odd years ago and will ship us off gladly to Planet X just as soon as the can get rid of us again (ref. "Maldek" and the asteroid belt - intro to The Nine Freedoms - blog Ed.). Don't think that any of them are new here or just recently arrived either..... Why don't you try raising Kundalini yourself and find out what a trance state is really like? Then you would know that your understanding of the Great White Brotherhood on. p.98 doesn't really do them justice. Haven't you misquoted your/our Master? George King said "Karma is pressure". Since when did he say "...pressure towards conformity..." and what kind of conformity did you envision anyway? Monique's version? Some of your points and descriptions are very perceptive and demonstrate an excellent understanding. Its a pity they are so few and so far between. Your effort lacks the uniform standard and polish that were the hallmark of all of your/our Master's work. George King went out of his way to explain that we don't live in "other" dimensions (like the "4th dimension") but you still seem to want to have a bet each way on p.11. Again, Karma is a "law" by which "forces" can be manipulated, not the other way around (p.28). This is not just Luke Skywalker's "the Force", you know. You probably have as much positive potential as anyone else in the Aetherius Society and I hope that you will re-write and re-work the first part of your book at least once you have learnt what it is that you are supposed to be advocating. You obviously have the sensitivity to understand your/our Master. And he is still here, you know..... Why don't you try getting the "full aspect George King" to show you your path? Then you'll be in trouble, ha! ha! Yes,it is sad about my book "Metaphysics and The New Age" also. I wrote how the Earth was threatened by invasion and all humanity with extinction. This is only told in the annalS of The Aetherius Society, and purposely omitted in their publications. Although it is a blatant plug for the A.S.,it has not been recognised as I had included material from other sources.